Pullman Taiyuan is an upscale international hotel. Located in Fulicheng, hotel is within 20 minutes drive from Taiyuan airport, railway stations, main business and shopping center. 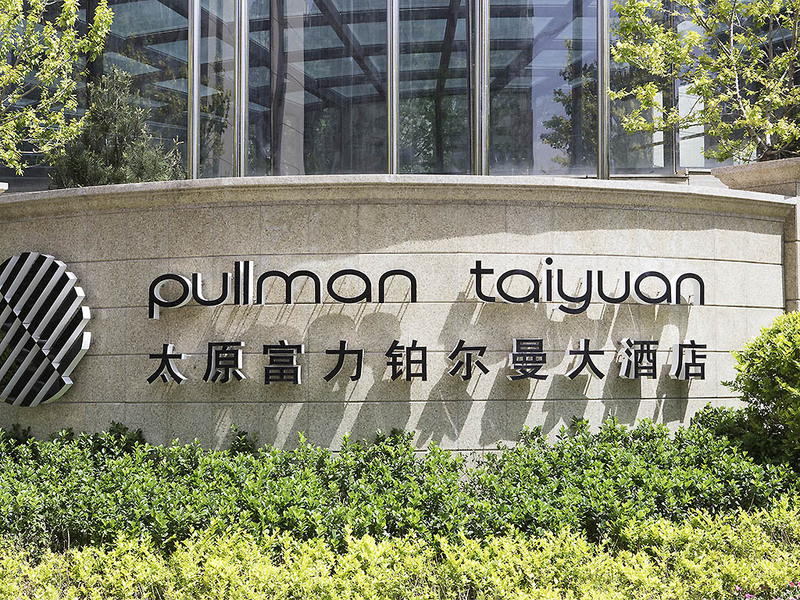 With 279 well appointed rooms, modern dining and event space and comprehensive facilities, Pullman Taiyuan is ideal for seasoned travelers who mix business with leisure.It's not only a place to stay, but also the place to meet. Taiyuan is the capital city of Shanxi Province. The city has a rich political and religious history. It is surrounded by famous places of interest including Pingyao Ancient City, Courtyard of Family Qiao, Yungang Grottoes and Mount Wutai. The first Accor upper upscale international hotel in Shanxi Province. Conveniently located in the junction of North Central Ring Street and East Central Ring Road. Late Check Out till 13:00 subject to availability. With a unique of 2,000 m² open air terrace, ideal venue of event. 1,000m² Grand Ballroom and 500m² multifunction room. Relax in the stylish rooms and suites equipped with the latest technologies. Each room offers a high level of comfort, while allowing guests to stay connected. Ideal for work, entertainment and rest. Using only the freshest ingredients from the market, the restaurant features a fusion concept and serves a selection of international cuisine. The restaurant serves fine Cantonese and Shanxi local cuisine and is adorned with contemporary décor. It has 10 private rooms that are suitable for corporate or social gatherings. With 110 seats and an open kitchen, UP@2ND offers Western, Asian and local cuisine in its buffet and All-Day dining menu. Enjoy a relaxing evening with a drink from the Pullman Tea Deli selection or Vinoteca wine list and light snacks from our Tapastry menu. Great accompaniments for any conversation. Väldigt fint och bra hotell.